Protecting yourself from ATM fraud. Skimming is a process in which someone attaches a device to an ATM. This allows criminals to steal your financial data — and your money. The most common form of skimming occurs when you use an ATM without knowing that a false front has been attached to the card reader where you insert your card. This then captures your card number and transmits it wirelessly to someone waiting nearby. A hidden camera will also be attached to the machine – sometimes on a loose wire or small slot and this will capture your PIN as you enter it. Know what to look for. Skimmers are small electronic devices that fit over the slot you swipe (or push) your debit and credit cards into, which steal your card details. Make sure you look carefully at the keypad. If you feel a small prong, then it’s a false front — don’t use it. Protect Your PIN. Always use your hand to shield your PIN as you enter it, and be aware of anyone standing too close who may be attempting to watch. Unfortunately, that friendly passerby who offers to help may be a criminal looking for your PIN, so never give it out to anyone. For more ways to play it smart and safe with your money, visit the Mooney Lyons Financial Services website at www.mooneylyons.com or call 847-382-2600. Mulcahy, Terence. 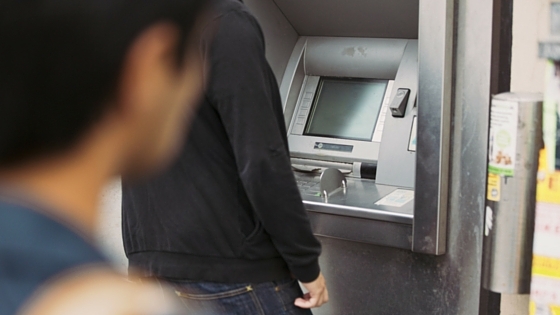 8 Tips to Protect Yourself from ATM Skimming. 4Washington. Ferguson, Donna. Five tips to protect yourself from ATM fraud. YAHOO! Finance. 2, Feb. 2011.